Indoor play equipment comes in handy especially when there is a bad weather. The equipment should be interesting and engaging to keep your child or children busy for hours. When it comes to choosing the equipment, you should consider some important factors like the space to put the equipment, your child's age, likes and dislikes, safety and of course the maintenance. Normally children like imitating grown-ups, so a best option for them would be party rooms. They contain chairs, tables and thus create a chance for them to invite other kids, have snacks and play. If you're shopping for girls then Barbie would be great for indoor fun. They come with bedroom and dining sets and will definitely keep your little girl(s) occupied for hours. Otherwise if you have boys then a good indoor play equipment to suit them will be cars and racing tracks. Boys love them and they will be kept busy for the better part of the day. Traditional games like UNO or board games are good for your kids if you would like them to learn about defeat and patience. The games will teach them defeat is possible and also get to enjoy victory too. When you play with them, teach them to be fair and not to cheat. This will also teach them the values of sharing when they play together. If you are on a budget then you can also make indoor play equipment at home. These can simply be charts and decorative that you can use to create any environment that your kids will love. This will save you lots of cash as well as provide your kids with enjoyable play equipment.Overall, just make sure the equipment whether you buy or make it, is a hundred percent safe and your kids enjoy playing with it. 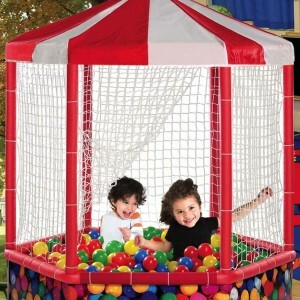 Remember indoor play equipment is very important for kids and their brain development. They also help you to know if your kid has a problem or is gifted in a special way. How to Choose Playground Equipment? Why install Recycled Rubber Mulch?